Mageplaza Store Credit for Magento 2 is the powerful tool to increase customer loyalty and motivate customers. This extension significantly supports e-commerce stores to encourage customers’ purchases by awarding them credit amount which is automatically added to their account balance. It is unenviable that while selling products to customers, the mistakes may occur such as wrong items, late delivery, especially refund order. In the cases, to express the apology, stores can present shoppers a sum of credit which is suitable with the aim to eliminate bad experience and regain customers’ satisfaction. Store credit balance is an effective and sensitive way to increase customers’ commitment to an online shop. This works as a second account of a customer, so he/she will pay more attention and accumulate more credits to make the account bigger. Hence, of course, customers definitely visit and shop at your store more frequently. In specific promotion occasions such as Christmas, New Year or Birthday, customers can be rewarded with specific credit amount to their credit balance. The credit will work as the powerful motivation to encourage shoppers to take advantage of the gift and make purchases quickly. With specific products which store owners would like to increase sales, stores owners can attract customers’ notice by applying credit usage to buying these products. The special products can be the ones which are facing bad sales for a time or have just been released. 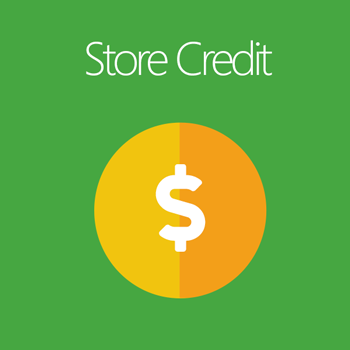 For example, the customer who first opens their account will receive $5 to their store credit as a welcome gift. This will motivate the account holder to make the first purchase. In general, this is an effective way to attract and generate new customers. Frequent customers will be returned a credit amount equivalent to x% of their spending after a specific shopping time. This way will improve significantly customer retention, especially the customer’s loyalty. 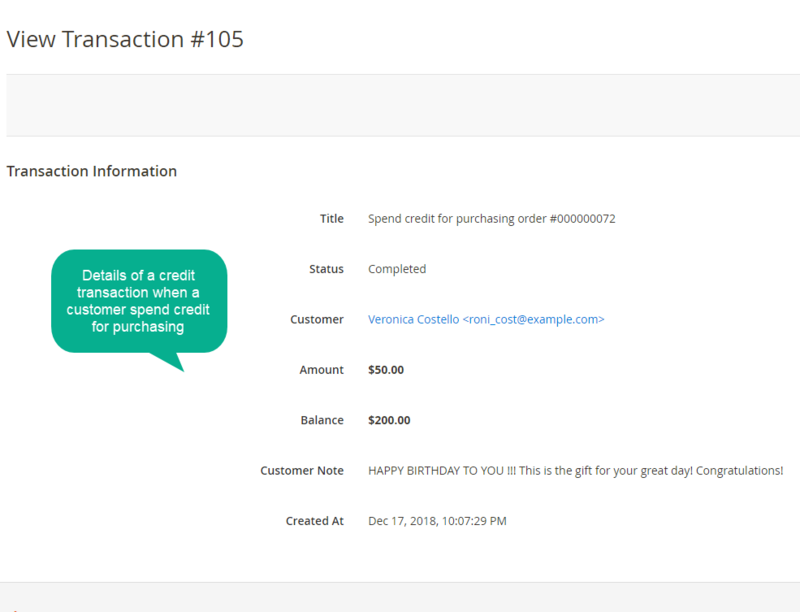 The credit amount of a customer can be transferred to his friends easily. This is a wise and economical method to exploit the customers’ relations and attract new shoppers while stores can save marketing expenses. 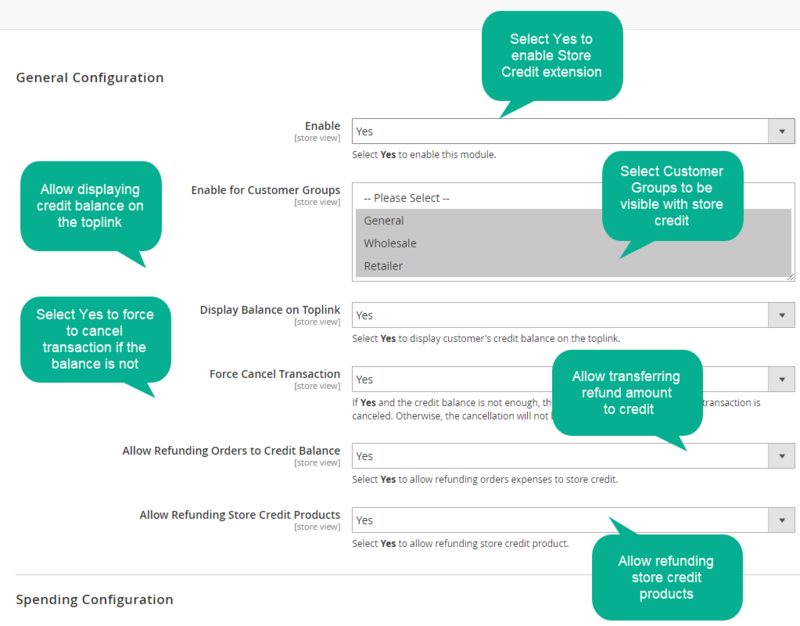 Store Credit extension allows store owners to edit the credit balance of customers. From the admin backend, admins can fill in the amount to change the current balance. Accordingly, the credit total in customers’ account will increase or decrease depending on the admin’ s configuration and specific purposes. 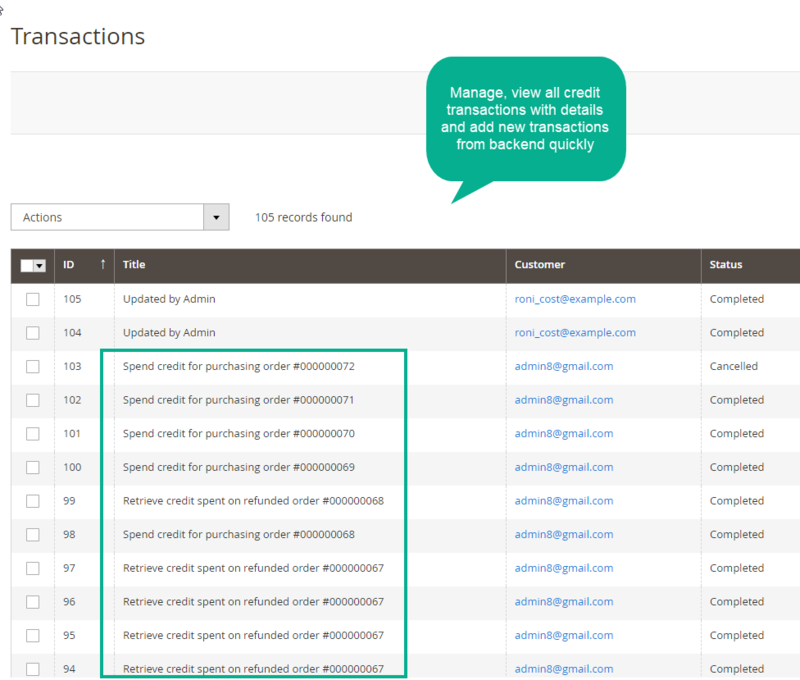 Besides, for each update of credit amount, the notes can be left and they can be visible to customers as notices or only visible to admins. 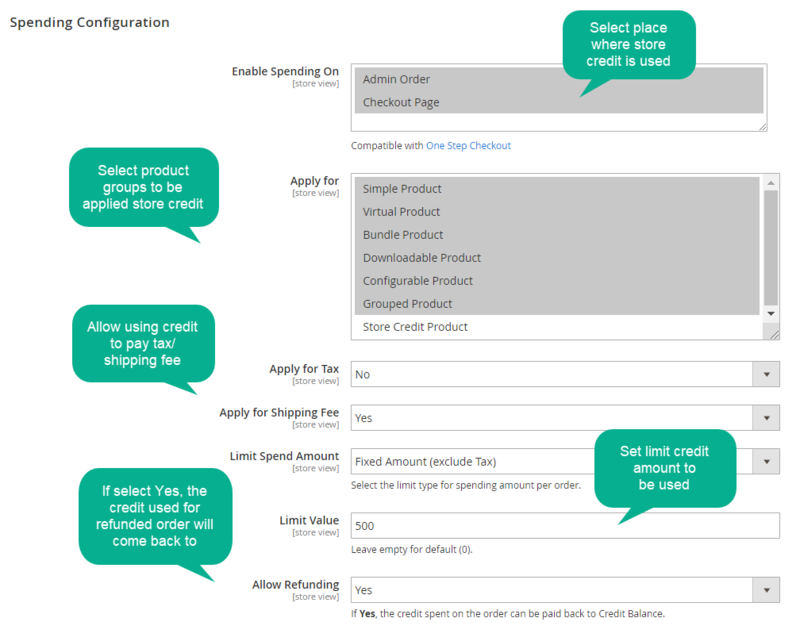 Store Credit allows customers to change the amount of credit within the range set by admins to and this is applied a specific product called “Store Credit Product”. After customers select a specific number in this credit range, the price will be calculated based on credit number. Customers are likely to buy the product with a very appealing price thanks to their credit budget. 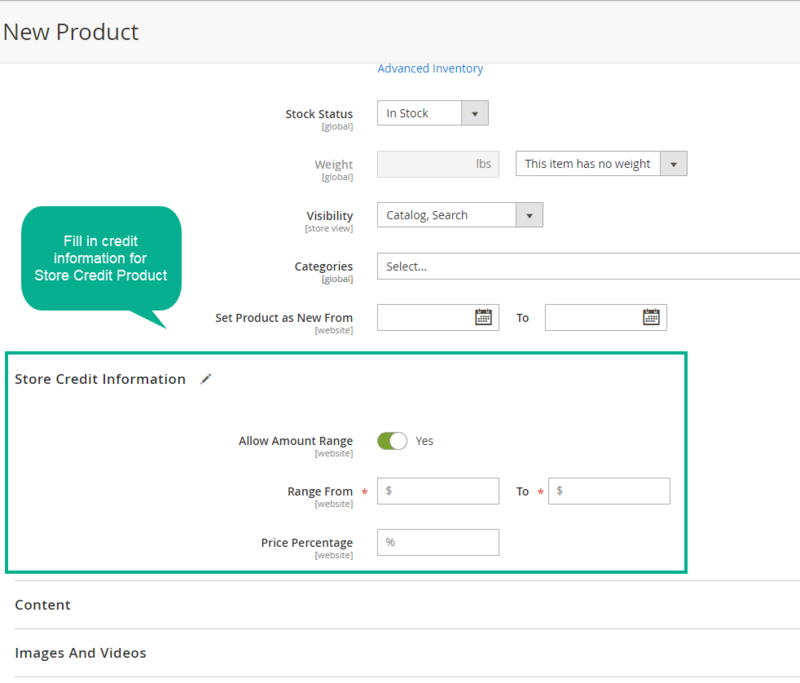 Each credit policy can be set for a product from admin backend and depends on the store owner’ purpose in each sales campaign such as the wish to improve sales for specific products. 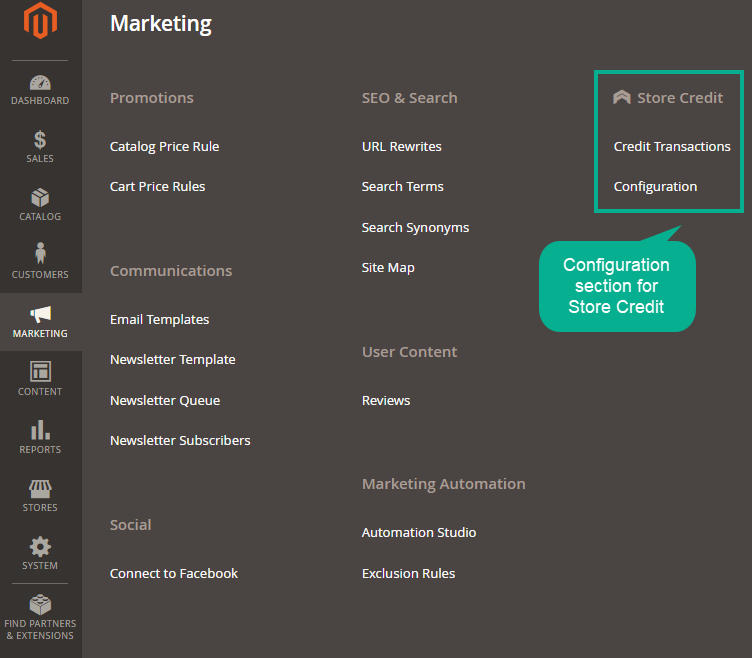 One interesting feature of Mageplaza Store Credit is the automated notification function. 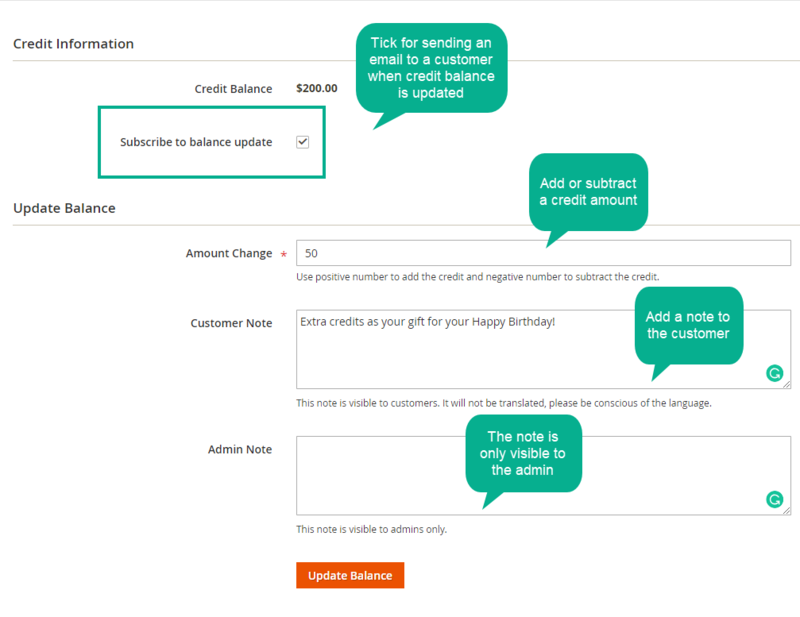 To support customers to update their credit balance quickly, Store Credit allows store owners to enable email notification to send balance updates to customers’ mailbox. Therefore, customers can be always updated about their credit budget and active in their credit spending during shopping. This also shows the profession and good customer care from the shopping store. Edit current credit balance of a customer from backend customer >editing. Create Store Credit Product whose price changes based on credit. Select Admin Order/ Checkout page where the credit is spent. 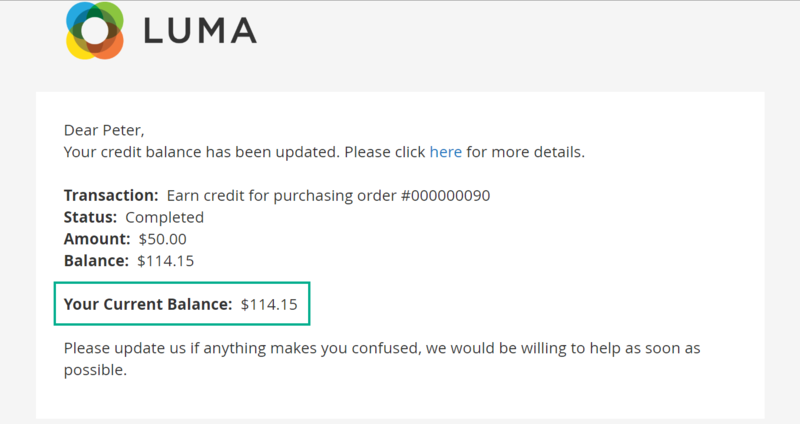 Enable credit return to customer balance if the order is refunded.